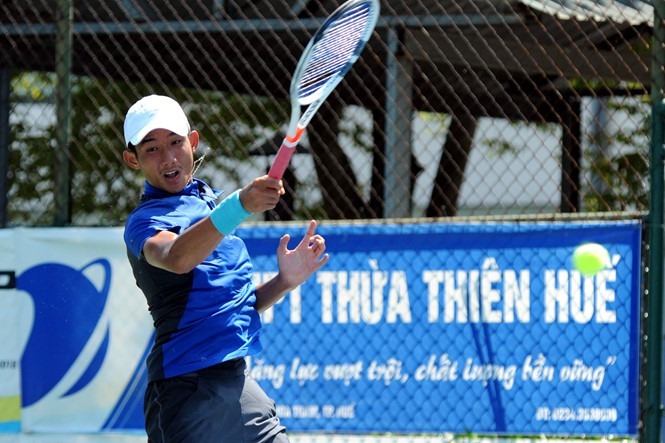 HÀ NỘI — Việt Nam’s young tennis talent Nguyễn Văn Phương proceeded to the third round of boys’ singles at the 2018 Seogwipo Asia/Oceania Closed Junior Championships on Wednesday in South Korea. In the first round, Phương, number 70 in the ITF Junior Rankings, overcame Kim Sunwoo from South Korea, ranked 2,001, 2-0 (6-3, 6-1). In the second round, he beat Daisuke Inagawa from Japan, 1,053 in the raking, 2-0 (6-1, 6-2). The 17-year-old’s rival in the fight for a place in the quarterfinals on Thursday will be Australian Dane Sweeny, 83 in the rankings. A challenge is waiting for Phương since Sweeny was previously in the top 50 juniors.